Michigan International Speedway in Brooklyn is constructing a new, 150-foot-high, four-sided scoreboard in the middle of its infield that officials say will enhance the race-going experience for fans. The scoreboard will have four large video screens capable of showing replays of the action and showcasing events at the speedway nestled in the Irish Hills. The 12-foot high by 19-foot wide screens will be at the base of the leaderboard, approximately 44 feet above the ground. The new leaderboard stretches 72 feet above the video screen and will totally encase all four sides. The all-new digital leaderboard will show the top 15 positions. A scroll at the bottom of the scoreboard will follow everybody in the race. The top of the leaderboard will feature a four-foot section that will be able to show the lap number of the race or the top speed in practice and qualifying. The first race weekend of the year at MIS is June 7-9. 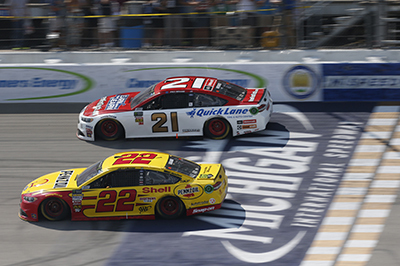 See the May/June issue of DBusiness magazine for a preview of how MIS and the Detroit Grand Prix are gearing up for June 2020 when the races coincide with the new dates of the North American International Auto Show in Detroit.